Why: Jon Sullivan is by far one of the best artists in the business right now. Clint Langley, Cheol Joo Lee, Gene Mollica, Steven Meyer-Rassow, Neil Roberts and the others all have their places sure, but Jon Sullivan is definitely in the top 0.1 % of artists. 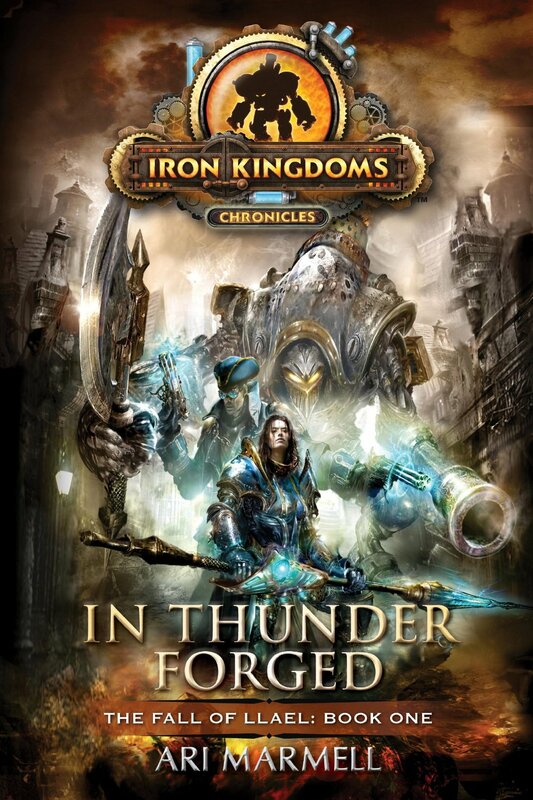 I’m a fan of all of his work for Black Library and this is the first of his covers that I saw that was not for Warhammer Fantasy or Warhammer 40,000. And it is just as great as any of them. He has a distinctive style and he’s pretty damn awesome. That’s all. 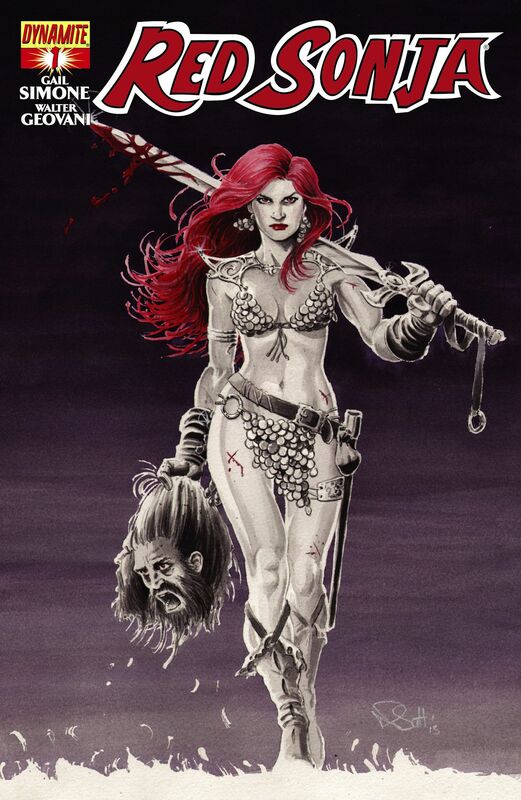 Why: Red Sonja, sword in one hand, the head of a villain in another, walking the awesome badass walk. No more reason is needed. Great atmosphere, great contrast, great everything. Posted on December 19, 2013, in 12 Days of Best Covers of 2013, Book Lists and tagged 12 Days of Best Covers of 2013, Ari Marmell, Art, Book Art, Book Lists, Comics, Comics Art, Cover Art, Cover Artwork, Dynamite Entertainment, Female Protagonists, Gail Simone, In Thunder Forged, Iron Kingdoms Chronicles, Jon Sullivan, Nicola Scott, Pyr Books, Red Sonja, Science Fiction, Swords and Sorcery, The Fall of Llael, Tie-in fiction, Walter Geovani, Warrior Women. Bookmark the permalink. Leave a comment.